for the light that has yet to come for Trayvon Martin. 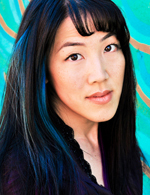 traci kato-kiriyama performs, writes, teaches, organizes, acts and acts up in various parts of the world. www.traciakemi.com; www.tuesdaynightproject.org. Opinions expressed are not necessarily those of The Rafu Shimpo.